HotPoint is a low cost brand of appliances sold at many major retailers throughout the United States. The brand offers entry level appliances, in basic styles and colors. Because of its low prices and straightforward designs, HotPoint is a popular brand for those looking to update a home on a budget. HotPoint is owned by General Electric. GE manufactures the appliance line. 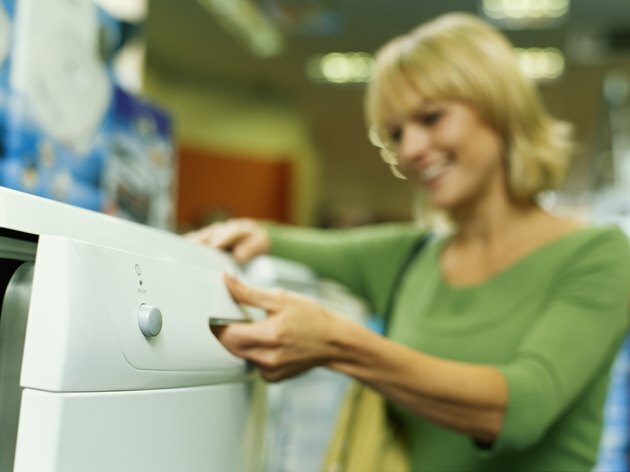 HotPoint is distributed by retailers that have existing relationships with GE. This includes national chains like Home Depot as well as local dealers. GE manufactures washers, dryers, refrigerators, dishwashers and stoves under the HotPoint brand. HotPoint sells a number of small appliances, including microwaves, trash compactors and garbage disposers. GE offers all warranty parts, service and support for the HotPoint brand. The appliances can be repaired by any GE certified repair center. HotPoint is sold internationally by the Indesit Company. It is partnered with the Aniston brand.